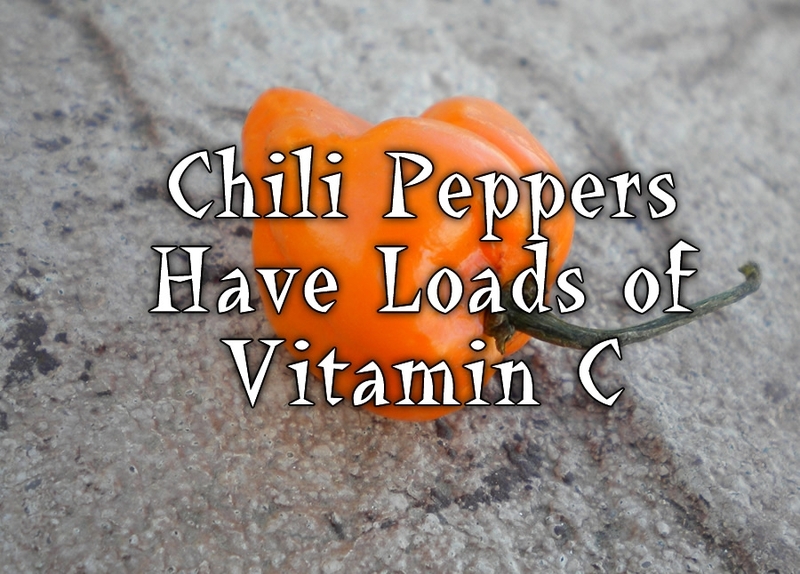 A typical chili pepper packs more vitamin C than an orange, so if you need your extra C, grab a chili pepper! How much vitamin C, you ask? A single 14 gram jalapeno pepper contains 10% of your daily needs. According to Nutrition Data, a single 73 gram chili pepper contains 83%.